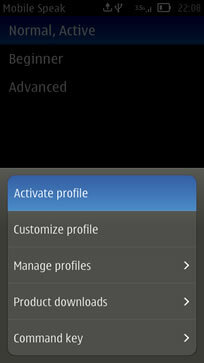 Mobile Speak is a screen reader for Symbian and Windows Mobile devices. 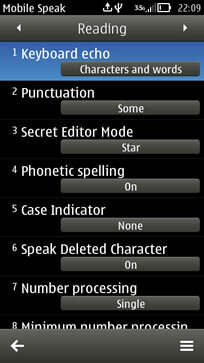 Since its launch in 2004, Mobile Speak has been a revolutionary screen reader for Symbian and Windows Mobile devices, providing its users with full access to smartphone technology. 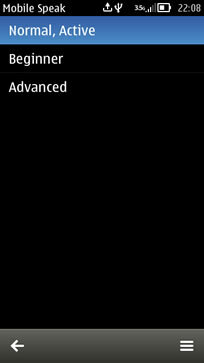 Mobile Speak allows you to use the device even if you cannot read the screen visually. Information displayed on the screen is rendered in synthesized speech output generated using text-to-speech (TTS) technology and routed through the device’s speaker or a headset. Screen contents can also be presented in Braille if the mobile phone is connected to a Braille device with a refreshable Braille display. Speech and Braille output can be used at the same time, or independently, to perform many tasks on the phone. In case you want to purchase Mobile Speak please contact us and we will provide you the contact of your local distributor.